Shaykh Yahya Rhodus, discusses the noble city of Mecca and the darkness it was in, before light entered the city, after the birth of our beloved Prophet Muhammad (Peace Be Upon Him). A #YaqeenBehindtheScenes look at Sh. Omar Suleiman's publication "How the Prophet Muhammad ﷺ Rose Above Enmity and Insult," which compiles 70 incidences of moral greatness in which Prophet Muhammad ﷺ rose above insult. 4 Stories That Tell Us Who Prophet Muhammad Really Was! How to be with the Prophet (salAllahu alayhi wa salam) in Jannah. Take the time to watch this lecture all the way through. 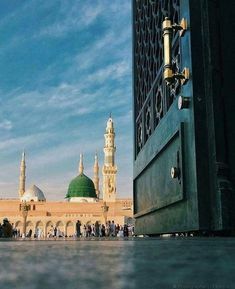 It deals with the difficult question of why some people do not feel any sort of love for the Prophet (salAllahu alayhi wa salam) as well as an academic approach to ways we can attain his blessed company in jannatul firdaws. Mohammad is the correct pronounciation. People usually get angry for reasons such as frustration, helplessness, injustice, severe pain, etc. Also, some people are more tense by nature. Something might trigger a reaction as well, such as a family member or friend commenting on something or even for no reason whatsoever. Once you fall prey to your anger and choose to act out; shouting and perhaps even getting verbally or physically abusive is when things get bad. You choose to give in to your weakness instead of trying to be forbearing. Self-control is key here. There is a beautiful story that once when Rasul Allah (s) was going to the masjid with some of his companions, a few children of Madinah stopped him. They said, “O Rasul Allah, you play with your grandchildren.” Rasul Allah (s) often played with his grandchildren, even letting Hasan(ra) and Husayn(ra) ride on his back. Can you imagine any other leader doing so? Normally leaders, especially spiritual leaders, if people look at them with awe and see in them charisma, they try to be somehow different. Yet, Rasul Allah (s) was different by being extremely humble, not different by reducing his contacts and by observing too many protocols. He was different in being more humble than anyone else. His grandchildren would ride on his back and climb on his neck, even when he was in prayer in front of the public. When he was in sajdah they would go on his back. Approximately 1,400 years before the Civil Rights movement in the US and the anti-apartheid campaign in South Africa, the Prophet Muhammad dealt with the issues of xenophobia and prejudice in Saudi Arabia. In this short piece, I highlight how the Prophet fought against the idea of judging individuals and groups based solely on their skin color and ancestry. When he was put through a test in his life, he didn’t have the attitude that Allah was out to get him.